Cervical cancer is a silent killer of women in India, with more than 60,000 deaths per year. We want to prevent cervical cancer in our girls by providing life-saving HPV vaccinations. 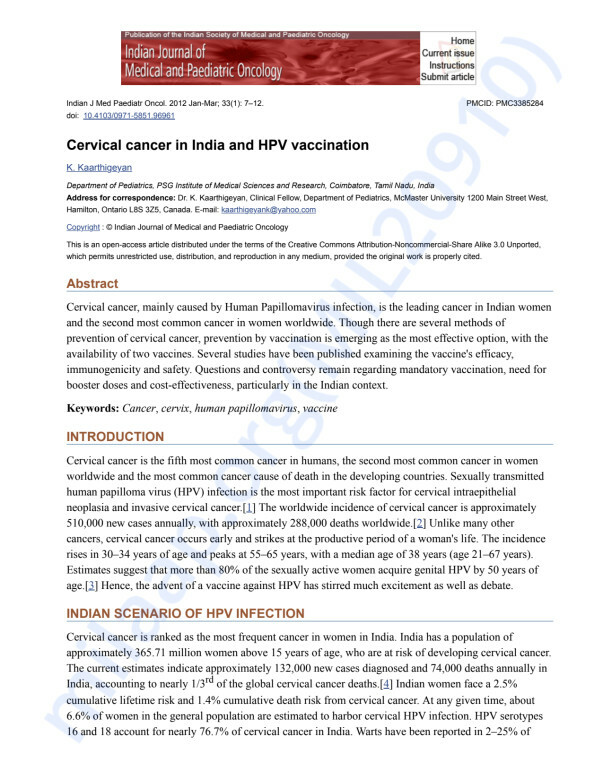 The HPV vaccine is approved in India for girls from 9 years of age. The girls in our programs have been with us for a long time, are getting a good education, and are very healthy, but they need to be protected from HPV and cervical, vulvar, vaginal, and throat cancers when they grow up. 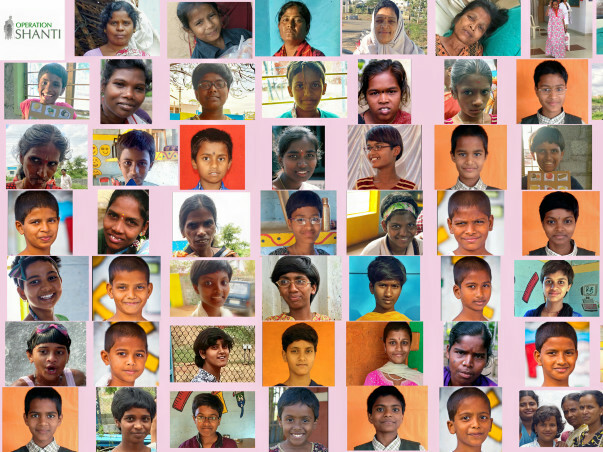 The vaccine, 95% effective, is recommended by top pediatricians in Mysore. We are getting a discounted price – 1750 rupees per dose – and the doctor will supervise the vaccinations for our 59 girls. Girls between 9 and 13 years get 2 doses because the vaccine is highly immunogenic at this age. Girls/young women older than age 13, up to age 26, and HIV+ girls, require 3 doses. Please help us save these precious lives. Cervical cancer is the second most common cancer among Indian women, after breast cancer. Shashikala, age 34, got lucky. As a poor HIV+ woman, early cancer screening showed pre-cancerous cells in her cervix. She was treated and is cancer-free and healthy. Few women in India are screened for cervical cancer, a deadly cancer that can be cured if caught early. Screening helps, but we want to take it one step further and do what we can to prevent cervical and other cancers caused by HPV (human papillomavirus) in as many girls from destitute backgrounds as possible, with your support. Jayamma, a destitute widow with a blind son, was not so lucky and got cancer caused by HPV. She suffered incredibly painful side effects from her chemoradiation treatments – it is not an experience that any woman should endure, especially if the risk of dying is not low. New Delhi has begun to vaccinate girls in government schools. However, our doctor said that this kind of program may take years to be realized in our south Indian city. Let’s do it now and save our girls’ lives!